This 16-year-old from the city has started a local initiative that traces the history behind road names. Did you know that Mekhri Circle, Mahakavi Pampa Road, Kengal Hanumantaiah and Lavelle Road are all named after people? Ok, so you did, but how much do you know about them and what’s their relevance to namma Bengaluru? This is the question that led 16-year-old Raghav C Madhukar to find an important local history initiative, City Idols. 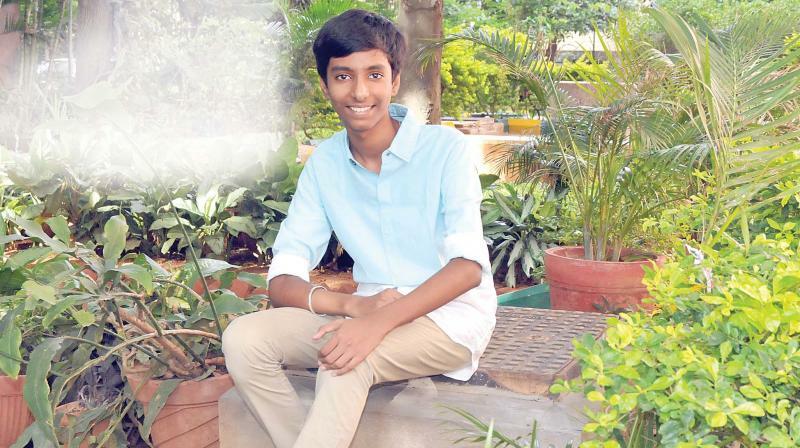 The ‘Luru teenager dishes on what put him on this path. Flaneuring around the city, Raghav would often observe streets, parks and circles named after people. “When I was younger, I’d ask my mother who these people were and she would only know details of a few. If these names were given, they should have contributed to society in a significant way. To enrich the understanding of our city and revive legacies of these people, I started City Idols,” says the 11th grader from Sri Kumaran Children’s Home in the city. Having grown up around Delhi where monuments speak for themselves and travelling across Europe and America where plaques at the end of main streets divulge history about the people it’s named after, this proactive youngster decided that we needed to learn history differently. “Although very important, history isn’t just about our Independence movement. It’s also about where we come from, our communities, our traditions and heroes, and how we have become what we have become. Without understanding our own histories, we will miss an important part of who we are,” he says. His journey has been an interesting one. He even got to meet the direct descendant of Sir Enayatullah Mekhri after whom the Mekhri Circle is named after! “It was named after him for fully financing the levelling of the steep slope in the Hebbal Tank area. He did this taking sympathy on cows and bulls which experienced great pain while dragging heavy cartloads and travelling up the steep slope of this area,” finds Raghav. “The other thing that I noticed was that we have very few streets that have been named after women. That’s not a good thing for our society,” he notes. The prestigious recipient of the Ashoka Youth Venture Award is constantly innovating. “I believe that there’s not enough opportunities for young talent to express themselves in writing. So, I’ve started Young Scribe so they may publish work they create online,” he says, while giving thanks where it’s due – to his parents and teachers. “I am quite busy with all of this. When I’m not, I enjoy watching movies with my younger brother, or playing tennis. It energises me and keeps me going,” he smiles.